Phoenix City Council will weigh in on the redevelopment of Central Station transit depot at its April 17 meeting. 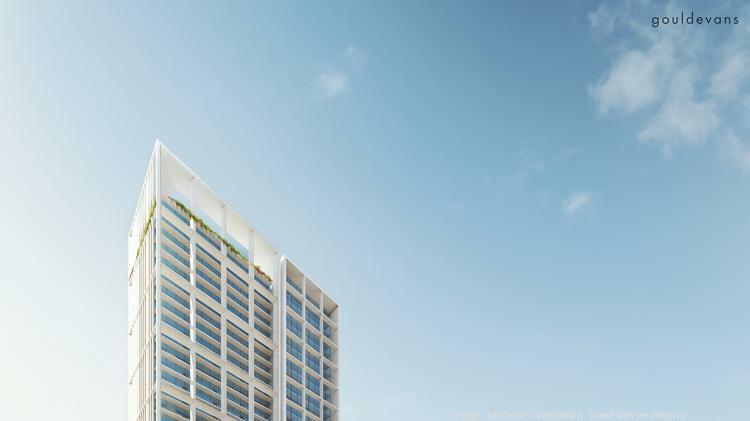 Electric Red Ventures LLC, a company owned by Houston-based Medistar Corp., was chosen during a request for proposal for the high-profile downtown site. It has proposed creating a $231 million, 1.1 million-square-foot mixed-use development on the site. The 2.6-acre site is bounded by First Avenue to the west, Central Avenue to the east, Polk Street to the north and Van Buren Street to the south. Interested developers were required to incorporate the transit uses — two light rail stations and a bus station — into the designs. 35,350 square feet of office. A 300-foot, 30-story tower will include the apartments and hotel. A smaller 200-foot, 18-story tower will include the student housing component. A third, three-story building will be on the site, according to information from the city. Plans call for Greystar Real Estate Partners to manage the apartments and student housing, InterContinental Hotels Group to manage the hotel, Poag Shopping Centers to manage the retail and Medistar to manage the office space. Mackay said the development will “really enhance the transit experience” for people using the station. “This will keep the same walk for you, but it will now be a shaded, lovely breezeway,” she said.